Light & Darkness Radio: Featured Today! ":Liquid Tension Experiment, Moi Dix Mois..."
Featured Today! ":Liquid Tension Experiment, Moi Dix Mois..."
Today L&D added the new albums of Leaves' Eyes "Meredead" (awesome \m/) Midnattsol "The Metamorphosis Melody" (10 of 10 \m/) Krypteria "All Beauty Mus Die" (recommended specially "The Eye Collector") and While Heaven Wept "Fear Of Eternity" (Must have) all Europe imported and Ltd Edition! \m/ Ok now to the featured bands of the day~! Liquid Tension Experiment (USA) - Liquid Tension Experiment had its genesis still in the year of 1996, when Dream Theater drummer Mike Portnoy was contected by Peter Morticelli (head of the label Magna Carta) and Mike Varney (vice president of the label Magna Carta) and was asked to, according to Portnoy, try and "put together a couple of Super Groups (for the lack of a better term!)",. In spite of declining the offer at first, he eventually agreed to assemble a super ensemble. Many were the attempts to put the group together through most of 1997, but most of them failed due to one pivotal problem: they were lacking a member. Mike was able to recruit a bass player, who was Tony Levin, of King Crimson and Peter Gabriel's band fame, and a keyboard player, who was Jordan Rudess, which was playing with the jazz fusion group Dixie Dregs at the time, but there was still a guitarist missing. Every guitarist that was originally invited to be part of the group refused the offer due to conflicting schedules. Finally, in the spring of 1997, Mike decided to invite John Petrucci, Dream Theater guitarist, to join Liquid Tension Experiment and, with his acceptance, the group was finally complete and ready to record their first album, the self titled Liquid Tension Experiment. The idea, or the concept, of that album was to fully write, rehearse and record the whole thing in a week, and so it was done: from September 20 to September 25 of 1997 the whole process was successfully done and the album was released in the next year, in March of 1998. The members of the band and Magna Carta were so satisfied with the results of the first endeavor that they decided to record yet another album. In late 1998 the band regrouped and in the span of two months wrote, rehearsed and recorded what would be their second album, entitled Liquid Tension Experiment 2. This time, just like with Liquid Tension's first album, it was released on the following year. Nearly ten years after the disbandment of the Liquid Tension Experiment, in late 2007, a third studio album was released with new band material. The release entitled Liquid Trio Experiment had jam tracks from the band without John Petrucci, who was with his wife at the hospital expecting his child to be born at the time. Unlike the two previous studio albums, Liquid Trio Experiment was mostly ill received by critics and fans alike. On the tenth anniversary of the release of their self titled album, Liquid Tension Experiment decided to make a commemoration tour throughout the USA in 2008. Unfortunately, the tour did not went through other countries, but it spammed a considerable sum of live recordings that were released in the following year by Mike Portnoy's own recording label, the Ytsejam Records/Lazy Tomato. Liquid Tension Experiment's music could be described as the meeting of jazz fusion, heavy metal, latin music, funk, progressive rock and enormous doses of improvisation delivered by some of the best musicians the worlds of progressive rock, progressive metal and jazz have to offer. Mind's Eye (SWE) - Mind's Eye is a progressive band with a strong sense of melody. Although making their own blend of heavy metal and progressive rock you can still hear influences from bands like: Rush, Yes, Queensrÿche, E.L.O, Winger, Toto and Genesis. The band started in 1992 when Johan Niemann (bass) and Daniel Flores (drums & keyboards) met Fredrik Grünberger (guitar). Before creating this new band they first called Afterglow, the three of them had played in different local bands in Stockholm while studying music in high school. When not writing music and rehearsing, Fredrik took lessons with Jan Granwick (Glory) while Daniel and Johan studied with local teachers. After playing together for about a year the band met singer German Pascual and made a self-produced, self-financed promotion CD named "Afterglow". The CD contained four of the eight songs recorded, and was very well received by the Swedish press, especially by Swedish journalist Janne Stark. The CD was also voted Demo of the Year by the Swedish magazine Backstage. Janne Stark worked with the band in trying to get labels interested. Even though some labels showed interest in signing them, the band was still without a contract in 1996. When German Pascual left the band they started to try out new singers. Afterglow recorded a demo with two different singers. The singers where Robert Forse(Head's or Tale's) and Thomas Vikström(Candlemass), But things didn't work out the way it should and Afterglow was forced to search for a new singer. They auditioned over 30 singers, and Johan Persson was selected as a new band member. The band also changed their name to Mind's Eyesince "Afterglow" already was taken by a German death metal band. In 1997 Mind's Eye finally got a deal with a record company and recorded their first CD "Into the Unknown" for the American label, Sensory (a label of the Lasers Edge group). The album was well received in both American and German press. The CD was distributed in the States by Century Media. Meanwhile, Johan Niemann and Daniel Flores studied music production and engineering at the Stockholm Music Conservatory with teachers like Roger Krieg (Ulf Lundell, Stefan Andersson) Olle Olsson (Meja, Snoop doggy dogg, Backstreet boys) Due to musical differences the band had to change singers again. The new singer, Andreas Novak, also studied at the Stockholm Music Conservatory with teachers such as Daniel Zanger-Borsch (Alien, Crosstalk) and Johanna Nyström (The real group). Though Johan Niemann, Daniel and Andreas studied hard it never got in the way of writing music with Mind's Eye. With a singer that fitted their music, they continued to write and rehearse in the studio outside Stockholm where Yngwie Malmsteen used to rehearse when he started his career. Their second album "…Waiting For The Tide" was recorded in 1999. In order to be in more control of their music, the band decided to release their second album on their own label "Round Records" with the assistance of project manager Håkan Kaneberg. The album got rave reviews, and opened several doors for Mind’s Eye, who now owned great reputation and respect in many magazines as one of Sweden’s best new progressive rock acts. Songs like “Calling (father to son)” got great radio air in both Swedish and American stations. In May 2000 Johan Niemann decided to quit Mind’s Eye in order to pursue his career with band Therion. The rest of the members wished him luck with that. In September 2000 Mind’s Eye decided to compete in the European Progpower competition. Mind’s Eye came in third place of ten bands. Most of the bands were big European names so off course that was an honour for the guys. The same month MNW records and Record Heaven had heard the album and decided to release the album in Europe. In October 2000 the band contributed to Adrenaline records “Warning: Mind’s Of Raging Empires”- A tribute to Queensrÿche, with the song “I will remember”. The song got amazing reviews waving the Mind’s Eye flag around the world, showing how strong their musical abilities are. January 2001 Johan Niemann was asked to join Mind’s Eye again, he accepted and the band continued to fulfil their third album. During February until May Daniel Flores and some friends started to build the “Sheep Valley Studio”. The studio was completed in late May introducing Mind’s Eye into hard disk recording, a new experience for the band. With a new found studio Mind’s Eye now felt the urge to record a new full-length album again, their third album with the title “A Work Of Art” was a total new area for Mind’s Eye. Daniel Flores and Fredrik Grünberger produced, arranged and mixed the 12-song album through June until August 2001. 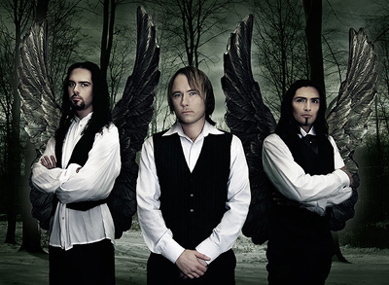 In July 2001 Mind’s Eye singed with German label Rising Sun (Angra, Dreamscape, Black Symphony). The reviews for “a work of art” where amazing and everything was going in the right direction again for the band until the inevitable happened: the label went bankrupt and Mind’s Eye left Rising sun records. After that Mind’s Eye took a big blow and they decided to take a long break to gather their troops again. This was a good period for both Johan Niemann and Daniel Flores who recorded 10 albums (with different artists) together during the time off Mind’s Eye. Andreas Novak went on the Swedish TV show Fame Factory gaining great success and finally signing a record deal with MTM record/Germany for his first solo album called “Forever Endeavour” produced by Daniel Flores. Having much success and being studio musicians that worked all over the world (recording with bands such as: Therion, Secret Sphere, Tears of Anger, Hubi Meisel, Novak, Xsavior, Demonoid, Zool, Chris Catena,Sha-boom, Faro) the guys of Mind’s Eye got the urge to come back and make a new album but Fredrik Grünberger, who worked as a stock broker during his time off with Mind’s Eye, couldn’t make it. So he decided to leave the band in order not to stand in their way of making a new album. The guys who worked together since they where teenagers where really broken by this but respected Fredrik’s decision. Bass player Johan Niemann, who also always had played the guitar, took Fredrik’s place and now they where three...Note: the members of Mind’s Eye have participated in over 100 albums as both musicians, producers and engineer. Time went by and suddenly the band received great news, they found a new label which would make a re-release of their last 2 albums"…Waiting For The Tide" and "A Work Of Art" and the release of a new studio album. The label was Lion Music, a great label for the band. Still with Andreas Novak on vocals and with the new label Lion Music, Mind’s Eye felt more confident and stronger than ever before to explore the boundaries of new musical territories and to confront a larger audience. Their first album as a three piece was "Walking On H2O" (released Jan 2006) which garnered huge critical praise (with a lot of 10/10 reviews) and it was this moment the band felt the urge to take their sound further into the unknown. The same year Daniel Flores was voted drummer of the year in hugemelodicrock.com website making Daniel one of the top drummers to working in the European Metal/rock scene. Daniel and Johan sat down a couple of days to write a couple of good songs and they came up with the best songs ever created by the duo. They both knew that the idea for the new album entitled "A Gentleman’s Hurricane" had to be taken somewhere else, somewhere they haven’t been before. The result was the heaviest album ever by Mind’s Eye and another concept by Daniel Flores. 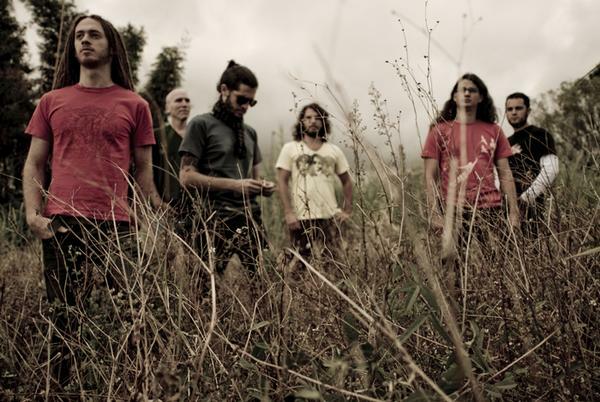 They entered Sound vs. Science studio in late August 2006 and delivered the album again to Lion Music in March 2007. Being a big cinematic fan, Daniel wanted to give this particular album a little extra spin and he came up with an idea of having the whole story illustrated as a comic magazine (done again by Mattias Norén) as the whole story and music was totally created as a sound movie. Mattias made the whole story come alive making sure that anyone missing some points will for sure understand if having the magazine. Daniel wanted to serve the fans even more and they came up with another idea of filming the whole album just to give the fans some input on how Mind’s Eye works in the studio. No rehearsing and no pre production, all arrangements on drums, keys, guitars, bass and vocals where totally improvised in the studio. The man for the job had to off course be Lasse Niemeleä who had done excellent live film work for bands such as Therion and Talisman. This film was to show the main reason how and why Mind’s Eye comes up with that unpretentious sound the always deliver. Many secrets unveiled here as Daniel and Johan explains how they went about to record the album. As if this wasn't enough the band shot their first professional video. Daniel searched for the man for the job and they came up with Fredrik Englund a freelance animator who had just came back to Sweden, having success working the UK with TV series Captain Scarlet. The song chosen was "Feed My Revolver" and a great co-operation between Fredrik and Daniel was born, one which will open many doors for both artists. During this time Daniel moved Sound vs. Science studio top a new area in Stockholm, a bit tired of the music business he has now taking steps into pursueing a career as a film score and game score composer. He looks forward on to having many successful years, while taking time off drumming (after recording over 20 albums a year the last 4 years since 2002) Daniel has proven his point and made a mark in the business as a first call session metal drummer. In may 2006 label MTM asked the band to participate on their annual MTM ballads release. The band contributed with the song “The art of an angel” a song written by Daniel Flores dedicated to his late uncle and painter Yanko Flores. Now Mind’s Eye sees no boundaries in the future, being given free hands by Lion Music to create whatever they like. They see many years ahead working with lion Music and making sure that they always come up with the most exiting and best work ever created by the band, every time they go into the studio to create something new, music from their hearts. You never know what they might come up with next so better keep an eye on them. Your Mind’s Eye. Time's Forgotten (CR) - TIME'S FORGOTTEN is a progressive-metal band from San Jose, Costa Rica, created in 2004. Its most prominent founding member was Juan Pablo Calvo, who started taking piano lessons at age 8 but quickly quit in favor of the guitar due to the strong influence of the grunge revolution. Soon enough he discovered heavy metal and progressive rock and, after finishing high school, he dropped the guitar only to get back to the keys. After playing in several bands and learning how to write and arrange songs, he decided to form a new band, TIME'S FORGOTTEN. He got in touch with other highly-skilled, progressive-metal-loving musicians who, together, became Costa Rica's premiere progressive act. The band released their first full-length, "A Relative Moment of Peace", in 2006, to moderate, surprising-for-an-unknown-band, commercial success. Soon after the outfit played its first live shows to great acclaim. The band continued to impress the audiences and by 2007 they were already invited to perform abroad, at the highly-respected progressive-rock festival "Baja Prog Festival" in Mexicali, Mexico, a feat never before accomplished by a Costa Rican band, a country with a very small, but thriving, musical market. TIME'S FORGOTTEN music can be described as progressive-metal with a lot of different influences. The DREAM THEATER influence is clear, as is the more atmospheric sounds of bands like PORCUPINE TREE, at times the fierce attacks of OPETH, combined with the broad landscapes of musical imagination of PINK FLOYD and even the pop/world ornaments of PETER GABRIEL. Dorian Opera (DE) - Dorian Opera was formed in May, 2007. Oliver Weislogel ( guitar ), Joe Eisenburger ( bass, vocals ) , Andrew Roussak ( keyboards, backing vocals ) and Harry Reischmann ( drums ) had already had an experience of playing played together in various bands in Baden- Wuerttemberg, South Germany . The band name DORIAN OPERA was chosen to underline a link between classical and rock music ( Dorian is a scale mostly often used in rock compositions ). The debut CD No Secrets was released in June, 2008 by a progressive rock label MALS , Russia. The second studio album CRUSADE 1212 was released in March 2011. Dorian Opera is: Sven The Axe - vocals; Oliver Weislogel - guitars; Andrew Roussak - keyboards; Wolfgang Fetzer - bass; Harry Reischmann - drums.